Looking for something a little more intellectually stimulating than the latest reality TV show? 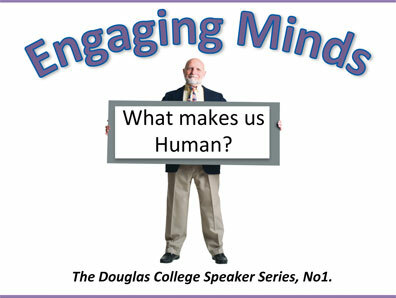 Beginning this week Douglas presents its Engaging Minds: What makes us human? Speaker Series. 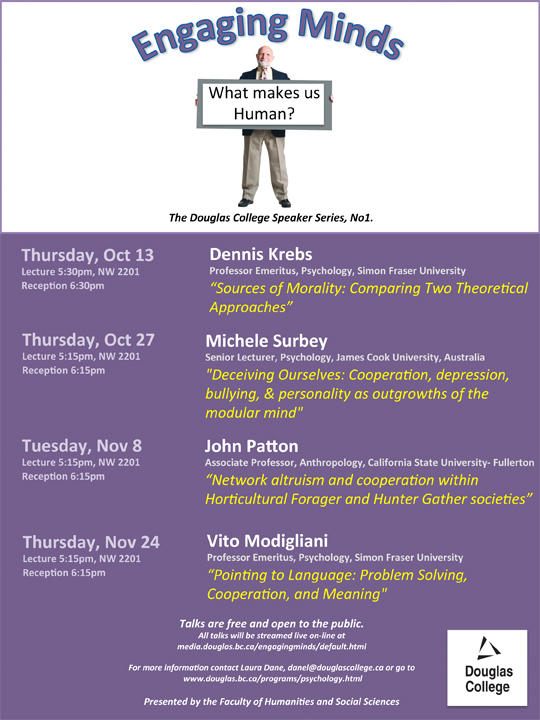 Free and open to the public, the four lectures explore topics and issues in the disciplines of psychology and anthropology. 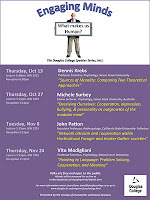 Kicking off the series this Thursday (Oct. 13) is Sources of Morality: Comparing Two Theoretical Approaches, by Dennis Kreb, Professor Emeritus, Psychology, SFU. For the full list of lectures, click on the thumbnail or visit this page.